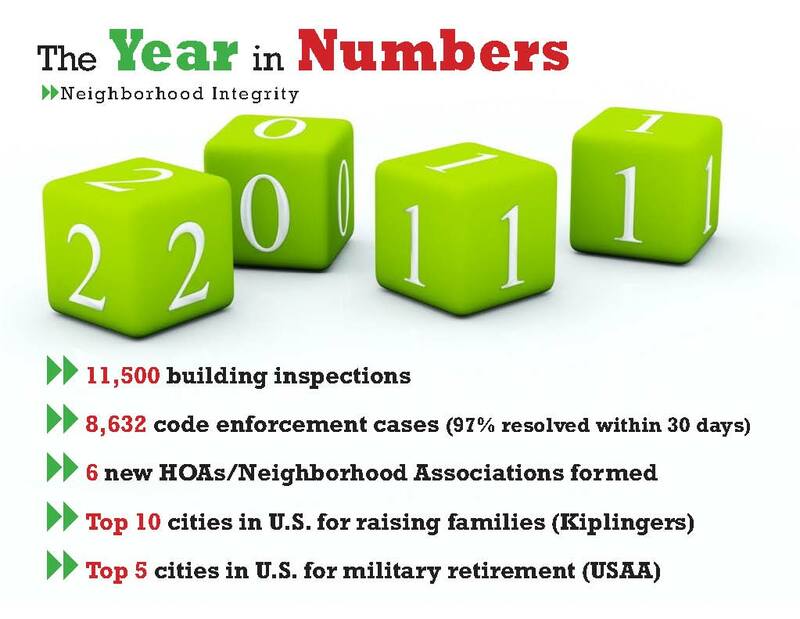 This is the third of a six-part series by City Manager David Neeley based on his 2011 State of the City Report. The HOME and Community Development Block Grant (CDBG) programs provided assistance to more than 3,300 eligible individuals and families in 2011 while also providing over $150,000 to seven local public service agencies, including the Lincoln Recreation Center and Kids Klub. The Planning and Development Services Department continued implementation of the Central College Station Neighborhood Plan, completed the Eastgate Neighborhood Plan and also initiated the Southside Neighborhood and Wellborn District plans that should be completed in 2012. Additionally, subdivision regulations were updated and six new homeowner and neighborhood associations were developed. The College Station Police Department continues to work on establishing connections with neighborhoods and individual residents through a number of new and expanded programs. In 2011, four bicycle officer positions were added to assist with the increasing demands of Northgate and other areas of the city. In conjunction with several other departments, Police also developed and implemented the City Watch Program, which uses city route drivers and work crews to help spot and report suspicious activity. The Parks and Recreation Department completed four park improvement projects including Brothers Pond, Woodcreek, Tarrow and Bee Creek parks. The various projects replaced gravel, upgraded sidewalks and bicycle paths, added lighting, and replaced playground and athletic equipment. These upgrades will ensure that our parks are among the best and will continue to serve as a source of enjoyment and leisure for families. Planning and Development Services implemented a new mobile technology tool called See-Click-Fix that allows citizens to us their smartphone or desktop computer to report code enforcement violations or other non-emergency issues such as curb damage or missing signs. This entry was posted on February 1, 2012 by City of College Station. It was filed under City Manager, Public Communications and was tagged with community development, neighborhood plans, Parks and Recreation, Police, state of the city report.